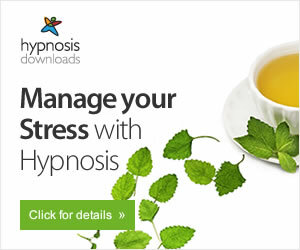 Stress Busting Tips-Why Stress Is More Harmful Than You Might Have Thought? Do you wake up each morning, hoping that you're going to wake up feeling calm and relaxed. Do you rely on chance to determine whether you have a good and productive, stress free day or not? Do you depend on luck for your health and well-being, have you accepted your stress levels as being the normal for you? Or are you the type of person who trains and prepares themselves to feel calm and happy? Because you wants to feel the best you possibly can and you want to be healthy, happy and calm. So you can live longer, feel energized and in control of your mind and body so you can be at your optimum peak performance and most powerfullest efficient, creative best. Some people wrongfully think, that stress is fine and it is a normal part of life. Others, even think that stress is good for you as it helps to keep you motivated. You could argue that a little bit of controlled stress can help to motivate you, drive you on to achieve your goals and help you overcome challenges. Small amounts of controlled stress can be useful to help you get out of bed in the morning to perform your tasks. A little bit of controlled stress (Not fear or anxiety) may be helpful with certain things like giving a presentation or it can help you perform better in certain sports. The trouble is, there is a fine line between a bit of controlled stress and the potentially daily harmful stress. Therefore, unless you know how to manage and control your stress, only when it is needed. The general rule is. Stress is bad and potentially very harmful. The truth is, for many people. Their stress levels have gotten out of control, it is not normal, in fact. Too much stress is potentially very dangerous and harmful and if you suffer from stress, you need to reduce it. If you do not learn to manage and reduce your stress. Then it will manifest itself as a unpleasant physical condition in your body and it will begin to destroy you and your life, from the inside out. In evolutionary terms. Stress was designed, to help get us out of a dangerous situation. Once we were safe, our stress response would be turned off and we would return back to our natural calm, resting state. These days people get stressed over just about everything or things that annoy them, which are not in their control and many people are so stressed out. They, spend most of their day stuck in a state of stress. The reality is. Our bodies are not designed to stay, virtually constantly stuck in a state of stress and sooner or later, they body will start to suffer the consequences of too much stress. When your body is tense or you're feeling symptoms of stress then it will affect your performance levels, your mental abilities and capacities. Stress makes us feel stupid because it shuts down our ability to concentrate, work things out, be creative or to perform at our peak performance levels. The reasons for this is because, stress and tension is connected to our fight or flight mechanism and danger response. Therefore, if our muscles are tense or we are experiencing high levels of stress when we are feeling stressed our mind and body shifts over to survival mode. This locks us in a narrow tunnel vision focus of attention, it puts our mind and senses on high alert to danger which blocks out our ability to think clearly. Stress and tension will also shift your body into a state of disharmony and imbalance that can lead to many unpleasant physical illnesses, feelings of discomfort and other ailments. "Tension and stress in your mind and body is the biggest enemy that you will ever have to face"
Everytime we react with stress. Adrenaline and the stress hormone cortisol is released into our bloodstream which causes our heart rate to increase, our muscles to tighten and our breathing to shallow. The stress response is designed to give us a quick boost of energy to help us survive a real life threatening situation or danger. In a real life situation, we would either run away or fight of our attacker. Therefore the energy would be used up, the mind would realize the threat was over and our mind and body would return back to it's natural resting and calm state. The stress response is not designed or not needed if we are stuck in a traffic jam, running late for work, something has upset us, we are worried about something or any other of the everyday non threatening stressors we face each day . Therefore because all the extra energy is not used up. All the adrenaline remains and high levels of energy remain within our body. Keeping us stuck in the damaging stress related state that can negatively affect you, psychologically and physically. It is estimated that it takes up to 36 hours to use up all the access adrenaline and energy. In the meantime, if you respond, with stress within that period, you will go another 36 hours before you return back to a state of calm, and the damaging stress and toxins will accumulate in your body. With all the stresses and challenges of modern day living combined with the amount of time many people spend worrying. People can remain stuck in a constant state of high levels of stress and tension. Which is potentially very serious for your health. It is now estimated that between 80% to 85% of all illnesses are stress related. Stress also stops your digestive system from working, when you're stressed your digestive system literally shuts down, it is also the root cause of comfort eating which leads to weight gain. Stress also activates the 'fight-or-flight' response, and even small amounts of stress and worry can do that. This then increases the cortisol level in our body and that can make us retain fat. Long term stress can accumulate in the body and it is responsible for many psychological and physical problems and conditions and eventually it can lead to high levels of anxiety, panic attacks, burnout and depression. Stress raises your body age and prematurely ages you, as well as disrupting your sleep and preventing your body from fully restoring and repairing itself. Stress makes us feel more tired, frustrated and irritated, which can result in more problems and more stress. The stress response can be reversed and you can begin to reduce your stress response and return yourself back to your natural state and most powerfullest and creative state of calm and inner peace and balance. As you notice your stress and tension, begins to melt away. You will begin to feel more positive, relaxed and in control as your mind starts to calm and your body starts to feel balanced and in harmony. You will also notice your mood improve and you will be smarter and more focused. This will improve your creative problem solving abilities, you skill levels will increase and you will perform better and do a better job at what you're doing. You will start to sleep better and the tension lines in your face will begin to decrease, which will make you look younger. After a while. Your general health should improve and you will tend to suffer less with colds and viruses, your body healing capacity will also increase and you will have more energy, motivation for life and enthusiasm. When you are feeling calm and relaxed. You will perform better both mentally and physically and all those stressors and challenges of everyday life, will be a lot easier for you to handle and cope with. In that blissful and sweet feeling state of calm and flow. You will be better company, your self confidence will increase and you will be more effective at everything you do. Very often, what you will find is. As your stress melts way, many of your worries and problems will begin to melt away or feel less significant. The key is mindfulness, awareness and relaxation, so you prevent your body entering a state where it is ready to fight or run away from. In a way. Stress is a learned behavior and bad habit. "There are no stressful situations, only stressful responses"
The danger starts. When people accept stress as being normal. Reducing your stress and changing the way you respond is also a learned behavior and good habit to follow. Behind every body's stress lies an underlying root source of it, so this means your first step to reducing your stress has to be to try and pinpoint and identify what's actually causing it. There could be one or many different sources of your stress, which you will have to tackle, but you cannot eliminate your stress until you know it's triggers. There could be many different triggers and each individual is different and their own circumstances which will vary, but there is only one way to treat your stress which is to tackle the root source of it. There are techniques that will help you treat the symptoms of your stress but unless you deal with it at it's very chore then it will just keep on coming back. So what causes stress ? The answer to that is, just about anything. You may need to deal with your worries or problems, this means analyzing what's behind your worries and either accepting the worst case scenario, then dealing with it or search and research for a solution then applying that information to your life. You don't overcome a problem by focusing on the problem, you overcome a problem by focusing on the cause of the problem and attacking it at every angle, then you make any mental corrections and physical corrections and adjustments that are required, then you proceed to focus on positive or general things. It could be that you may need to slow down and cut back on your workload or your other commitments, you may need to incorporate some healthy lifestyle changes and allocate some free time to yourself or stop allowing other people and events to control your emotions. We begin to feel stressed when we step out of the tranquility and peacefulness of the present moment or we allow what is and our current results to dictate our emotional and physical state and they allow their results to control them. Fear is closely related to stress and many of our fears are a result of bad or traumatic experiences that has previously happened to us, the past can cause you to worry and plan negatively for the future. If you have a problem, forget about the problem and search and focus only on a solution. If a problem arises, take some slow, deep breaths and relax your body, then when you are feeling calm, think about how you can resolve your problem. Think about ways you can solve your problem, if you find you cannot come up with an immediate solution then ask your mind to come up with an answer, then hand the problem over to your mind whilst you let it go. Learn to deal with or accept and give in to what is, forget about the past and stop trying to predict the future, it's OK to create a positive and optimistic future but turn into a glass half full type of person. Stress becomes harmful when we cannot control our thoughts and how we respond to challenging situations and events. Most long term and chronic stress is due to fearful thoughts, worry and negative thinking. But once you deploy a bit of emotional intelligence and mindfulness you can quickly start to recognize those negative thoughts that trigger the emotional arousal and you can quickly step in a stop the momentum. When learning how to manage your thoughts and emotions, then you will have gone a long way to reducing your stress. The secret to preventing all that prolonged worry and stress is to learn how to monitor your thoughts and feelings so you can prevent the negative emotions and physical responses from escalating into prolong periods of worry and more stress. Learn to become the observer of your thoughts and your mind, just let your mind think them, but don't judge, suppress or accept them. Just learn to observe your stressful and worry thoughts whilst you remain calm and detached around so you can put a gap in between the negative thoughts and the stressful response. Practice being more aware of the things that make you feel stressed. Find somewhere where you will be undisturbed for a while and relax and takes some long, slow breaths, then when you feel relaxed, think about the thoughts, things and images that would normally make you react with fear or stress. Whilst you call those thoughts and images into your mind, practice remaining calm, detach yourself from your mind and watch from a second person perspective. The idea of this is to watch your mind whilst staying calm and relaxed around the thoughts and images in your mind. Leave and allow your mind to think the worry thoughts, do not judge or react to the negative thoughts and images or get in the way. So you can train yourself not to let the stressful momentum from escalating, you can then do this during your day should any negative thoughts enter your mind. The first thing to do is to recognize the onset of when you're beginning to feel stressed, so you need to be mindful of the symptoms of stress so if anytime you feel your stress levels rising you can intervene and nip it in the bud before you get overwhelmed by your situation and your symptoms of stress. Nearly all things in life are potentially stressful to someone. You cannot always control your outside circumstances or the world around you. But you do have total control of how you choose to respond, one way to reduce your stress is to accept and even want to be in the situations that usually cause you to get worked up. This means if you're stuck in a traffic jam or a queue you cannot do a thing about it so accept the situation and even want to be there, if you're late for work accept your going to be late. Again, it is important to stop the stressful responses before they have a chance to overwhelm you. If you're stuck in a traffic jam or your running late for work or something then getting worked up is not going to change anything so you might as well accept your situation and stay calm and patient instead of ending up stressed, frustrated and angry because whatever response you choose you will still be stuck or late. Next time a stressful situation occurs, don't react stressfully or negatively, pause for a second and allow yourself a buffer period to break the old responses by putting a gap between the trigger situation and the stressful response. Because you need to change the way you respond, so take some slow, deep breaths and don't react, don't make any rash decisions and don't judge the situation. When you take control of your breathing you will start to stop the rest of physical and chemical reactions that are associated with the stress response. Just slowly breathe in for the count of 7 and hold for 3 then out for the count of 11 and repeat until you begin to feel more relaxed. Going virtual is your bodies natural inbuilt way to calm your down and change the way you respond, so as soon as you notice the onset of any stress. Just imagine yourself in a relaxing and beautiful location and engage all of your senses. Always adopt the attitude that everything will work out fine. Relaxation is the anti-dote to stress and there is no other way around this so you have to learn how to relax deeply and you need to do it on a regular basis. If you have been feeling stressed for a long time now then it might take you a while to learn how to relax deeply, but the more you do it the easier and more natural it will become for you. People often say they have not got the time to relax, but relaxation is something that your body requires to rest and repair itself and it is the key to reducing your stress and anxiety. When you're already tense and stressed it will only take the slightest thing to send you over the edge, and you will have more tense thoughts and responses. When you're feeling relaxed, you will be more efficient, you will perform better and you won't get so overwhelmed, making it much easier for you to cope and handle stressful situations. Meditation or any form of relaxing is going to help you to reduce your stress, which will benefit you greatly in many positive ways, including to help you feel good and look and feel younger. These days you have not got to spend ages trying to master the art of meditation, because now, with the aid of technology, you can easily reach those deeply relaxed states through sound technology. One sure way of getting your stress levels up is setting unrealistic deadlines and thinking you have to rush to get something done. Stress is designed to push us to take action, the moment you set yourself a deadline or you need to hurry, then this will immediately trigger the release of adrenaline and the stress response. Soon, this can become a well practiced habit and stressful response, to counteract this, make a conscious effort, everytime you find yourself with the urge to rush. Deliberately slow yourself down, so you can put a stop to the stressful momentum and create positive habits. Learn how to slow yourself down a bit and avoid rushing about or thinking everything has to be done instantly and quickly. Regardless of what you might think, rushing about does not guarantee you will get it done quicker, in fact, it will make you perform worse and you will be less efficient and less productive. Work smarter, not quicker, you will get more done and you will do a far better job. When we rush we become stressed, when we're stressed we cannot think clearly or operate and function at our most efficient best. Yet when you're feeling relaxed and in the zone everything becomes so much easier, more effortless and more natural to do. Our optimum peak performance levels are when we are in a that flow like state of relaxed but alert. Good time management and good planning will help you to reduce your stress, avoid trying to cram too much into your daily routines and try not to juggle too many balls in one go. Live for each day and try not to plan too far ahead as this can cause emotional overwhelm, take each day as it comes and let the future take care of itself. Not allowing enough time to prepare yourself for work or when you are going out can result in your starting off your day stressed and full of tension. Always allow adequate time in the morning or if you're off out during the day or at night to get ready, because all that last minute rushing will pump your body up full of adrenaline and those stress hormones. The same applies with your other commitments, tasks and goals and by making clear plans that allow you adequate and realistic times to achieve what you want to get done and don't involve trying to get everything done in a hurry can reduce your stress and improve your performance levels. If you have a big task to fulfill or a goal you want to achieve, break it down into small, easy manageable steps, because if you try to think about the bigger picture it can leave you feeling daunting and emotionally overwhelmed. So many people come Sunday night or as they wake up Monday morning start the day or week off by dreading going back to work or dreading the week ahead. This will immediately put you in a negative state of mind and body which is not an ideal way to set yourself up for the coming week. Before you know it you will feel stressed and downbeat with what lies before you because you're actually planning to have a bad feeling day and even lousy week. This starts off as early as our school days and it becomes a well practiced habit that gets ingrained into our mindset and over the years as we train ourselves to feel stressed and low all day Monday. This attitude will immediately put you into the wrong frame of mind which will make your day and week seem like a long hard laborious slog. If you want to avoid those negative emotions you need to do the opposite to what you have been doing and tell yourself you're going to have a great week and nothing is going to upset you. Yes, there might be some challenges to face and overcome, but no matter what you have to decide you're still going to have a good week including Monday. It can also pay to prepare yourself on Sunday night for the week ahead, do some form of exercise or spend twenty minutes before you drop off to sleep deeply relaxing. Make sure you have got everything prepared and you allow yourself enough time to get ready in the morning. After each day at work when you get home make sure you switch off from your work commitments or projects. Some experts believe that the foods you eat can have an effect on how your body responds to stress. One of the worst offenders are believed to be too much sugar, the trouble is at times when we're feeling stressed we tend to crave for more sugar, which can make your stress symptoms even worse, it may be also wise to limit your caffeine and alcohol intake. Also, during periods of high levels of stress it can deplete the body of vital minerals and vitamins that the body needs and requires to function at its most efficient best. Other foods that may be responsible for raising your stress levels are processed carbohydrates such as white bread, white pasta and white rice. To help give your body the vitamins and minerals it needs, follow a good healthy, varied diet with plenty of fruits and vegetables, combined with whole grains and whole meal breads, pasta, brown rice, fiber, beans, lentils, lean proteins and good fats with omega 3 which can help to stabilize your blood sugars and reduce your stress and anxiety. Too much stress can deplete the body of its much needed natural nutrients and fill the body with harmful toxins. Magnesium is classed as the wonder mineral that can help to calm your mind and body an assist in reducing stress and anxiety. Clinically proven detoxification, restoration, and calmness! Try now! Prolonged periods of stress and tension will cause a steady, continuous release of adrenaline and the stress hormone cortisol into your blood stream which will activate the physical changes in the body and until you deal with your stress this pattern of negative thoughts and stressful responses will form an ongoing vicious cycle. Because of the mind body connection you can use your body to calm your stressful and anxious mind. Again, breathing will stop the onset of stress if you catch it early, because by controlling breathing you control all the other stress related. Most people have become shallow breathers so it will pay you to pay attention to and reset your breathing. When you make sure you're out breathe is longer than you in breathe, then your body has to calm down, if you combine breathing techniques with meditation then you will get even greater benefits. When we are feeling stressed or challenged, our muscles tense, which is part of the fight or flight response, therefore it is important to sit, stand and move with poise and the least amount of tension. Having a nice poised, aligned and balanced posture will reduce your tension and leave you feeling less stressed and more at ease and balanced, your posture changes your whole physiology. Tight and tense muscles can put you into startled mode where you find yourself reacting with fear or you are anxious, nervous or jumpy and you will have more fearful thoughts. Try to develop a positive mental attitude and outlook because when you have a positive and optimistic outlook you will generally experience more of the calm and positive emotions which will leave you better equipped and able to cope and manage stressfull challenges and pressure situations. Those who worry a lot and people who have a more negative outlook tend to be far more prone to stress. Individuals who worry a lot have a negative mindset and outlook. So by developing a more positive attitude and outlook you will suffer less with stress. Break your goals and chores down into easy and realistically manageable steps and timelines. Laughter is a great way to relieve stress, everybody faces problems, we all have challenges to overcome and things go inevitably wrong for us from time to time. Puts some music on or doing something to distract yourself from off whatever it is that's bothering you. Just remember, all suffering passes and everything can be figured out so long as you slow down for a moment and you get out of your head and bring yourself back into the present moment. Then, once you have calmed yourself down, devise a plan of action and break all your challenges down into smaller manageable action steps. Nearly all our initial stress starts and exists in our heads, so if you take your focus of attention out of your head and you put it into doing things externally. Just engage in any sort of physical action like reading a book, observing nature, especially water, visiting friends, surfing the internet and you will start to calm down. Painting or coloring is well known to help engage you in the moment and reduce your stress, so go and buy yourself a coloring book. During our day we have times when we begin to feel tired and sluggish, especially around mid morning and around mid afternoon, this is part of our bodies mini rest and restore cycles. Most people either ignore or try and fight this natural bodily function, they will have a stimulant drink such as caffeine or an energy boosting drink, which are fine, but first you should try and sneak off for about seven minutes or a little more for a quick power nap. Once you have found somewhere quiet, relax and close your eyes for a few minutes, then takes some slow, deep breaths, in for 5 and out for 7 as this will help regulate your breathing and just watch your thoughts pass by, a bit like a mini meditation session. This will give your body a much needed rest and energy boost and then you can have your energy drink or a snack. if you are feeling stressed and overwhelmed then you need to have a cut off point from overworking and once you reach it you have to slow down or say enough is enough because you need to know when to rest and shut off. Create your own safe place where you can turn off your phone and digital devices, stop working and just switch off from the outside world and relax and chill out for half an hour or more. This could be a place indoors or outside in nature. Meditate or listen to some relaxing music, read a book or just do something that relaxes you and set aside some relaxing time each day in your safe haven. One of the biggest causes of stress is trying to satisfy our ego, which is partly made up of the self image we have of ourselves and then trying to live up to our ego of our self image. This egotistic self image some people have about themselves, is not actually real or true, it is something that we create, often to hide our inner insecurities or to give us a role to play. Many people who are angry and stressed are trying to live up to their ego, where they think that they have to always be right, prove a point or stand up for themselves. Now there is nothing wrong with having your opinion or standing up for what you feel passionate about, but this should be controlled stress and done in a calm and assertive manner. But it is not just the egotistic types that have a big problem with stress, our ego can also cause us stress in many other ways. If you feel anxious or worried about your safety in the world and your environment or how other people think about you and perceive you, then this too, can be coming from your ego. If you allow your ego to run your emotions and perceptions, then this can cause you a lot of emotional stress. Of course, we all need to be aware of any potential risks or hazards, but what you don't need is to constantly worry about the trivial things that are more of a threat to your ego than your safety. If you live all your life from the perceptions of your ego, then you're going to be coming from a fear based reality, mindset and place, and fear and anxiety are linked to stress. When you're feeling stressed, it is usually fear based, so it is important to try and pinpoint and indentify what you're feeling scared about, and then work on trying to change the beliefs behind that fear or try to find a better alternative. Most fears and anxieties are based on your limiting beliefs or having a lack of belief in yourself, your ability to cope and handle pressure situations, not fully accepting yourself and your perceived flaws or you feel the need for perfection. In life we make and create our own pressure, by the way we respond to situations and from our negative experiences and how we react to them or because we struggle to let things go. Try not setting unrealistic targets or put too much expectations on yourself, trust in yourself and your abilities to work things out and get things done. "Whatever happens, you'll be OK"
If things are not working out, take a break, go and chill out or relax. "Don't try harder, do something different". Stop worrying about what others think, know that you're, good enough and capable enough. Most of our problems evolve, because we focus on the solution, instead of looking at and then working on resolving our problems. Develop a solution based mindset and attitude, instead of a coping or symptom based ones, and take responsibility for your own actions, feelings and circumstances. When we become stressed we feel the tension in our stomach, chest, shoulders, neck, back, forehead and jaw. Find somewhere to lay down, so you can breathe and begin to release the tension in any area of your body where you're holding onto it. To breathe deeply and naturally you need to allow your stomach to relax. Instruct each muscle groups one by one, to soften. As you begin to let your body relax, continue to stay in this came place and just allow your mind to calm down. Do not try and stop thought and do not try and fight or resist your thoughts and feelings. Just allow them to pass through you and away. The one thing that you do have control of is your focus of attention. So keep focusing on your breathing and instructing your muscles to soften and melt. As you begin to relax. Find something that is good in your life and focus on them for a while also spend some time on finding somethings that you're thankful for.